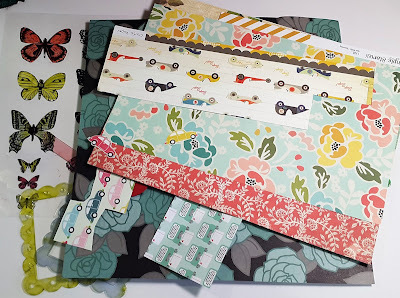 My Counterfeit Kit for February is called "Happy Hour", and as always, one of my favourite parts of putting it together was creating "forgeries" of some of the goodies in the inspiration kit. 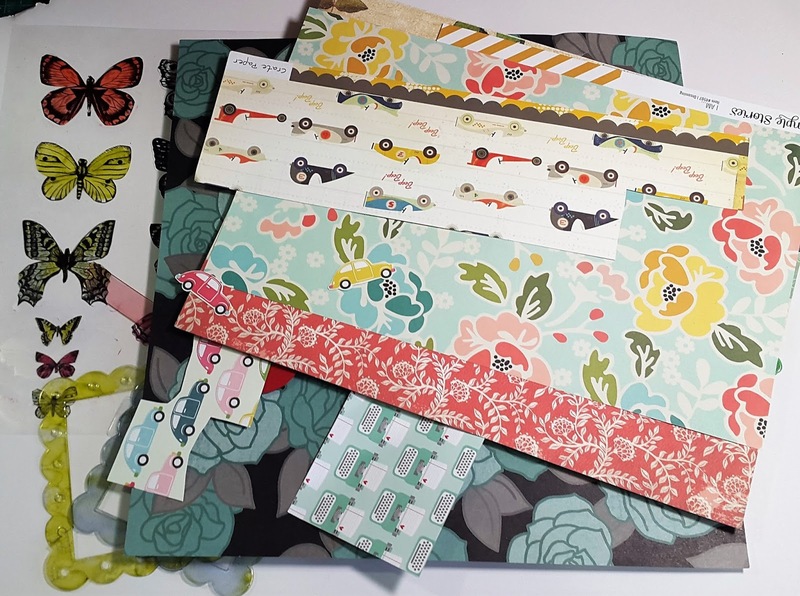 Pop over to the CKC blog, where you can check out the original kit, look at all the clever ideas and projects from the design team, link up your own version and see what everyone else comes up with. The bows were really easy, especially as my son made me a bowmaker on his 3D printer, clever boy. The little frame was made from resin poured into a silicone mould. 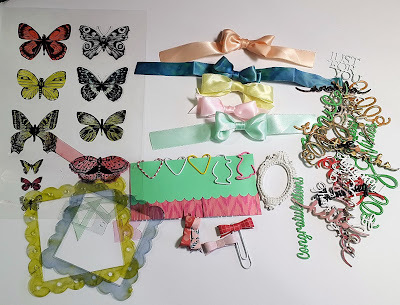 The butterflies were clear acetate stickers printed in b/w, which I coloured with alcohol ink and Sharpie pens. Same for the other acetate shapes. The scripty words took AGES but were really quite easy to make - I just die cut words, layered several together, then heat embossed them to create a shiny 3D word. The shaped paperclips were inspired by YouTube tutorials - the hearts are really quick to do, the penguins quite fiddly, but fun. The paper bows were left from last month's kit, made with a bow die. So that's it, what do you think? Check out the original kit yourself - what would you forge? It's definitely my favourite part of this challenge. Thanks for dropping in today, hope to see you again soon! These are wonderful ideas. As Helen says you have great patience.